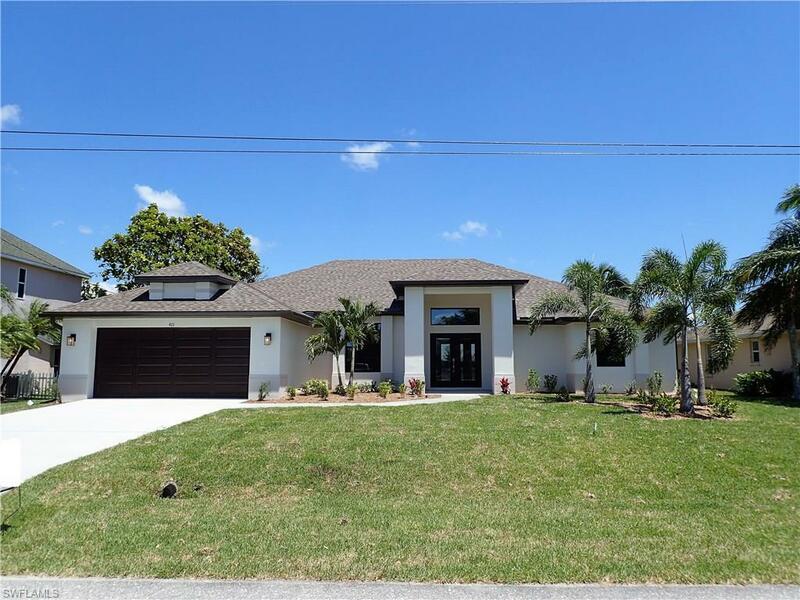 **UNDER CONSTRUCTION, complete end APRIL 2018**NEW POOL HOME LOCATED ON SEMINOLE LAKE WITH BEAUTIFUL PANORAMIC LAKE VIEWS off Del Prado Blvd, all city of Cape Coral Utilities paid in full. Great room design plus separate dining & family rooms w/Eastern exposure & expansive water views in ALL LIVING AREAS & MASTER BEDROOM. This 3 bedroom, 3 bath (1 is pool bath) home sits in a well established waterfront neighborhood & is not in a flood zone. Some features include tile floors through out w/carpet in all bedrooms, 2145 sq. ft. of living area, granite counters in kitchen & baths, 42 inch upper cabinets in kitchen & inside laundry room w/deep sink. Master bedroom has sliding glass doors out to screened lanai, 2 walk-in closets, dual sinks w/separate soaking tub & walk-in shower. Stainless steel kitchen appliances included: side by side refrigerator, smooth top range, dishwasher & microwave to be provided about 1 week before closing. Single hung Low E tinted dual pane insulated glass windows, 3 ceiling fans, irrigation system & upgraded landscaping are some other features. The concrete pool is 13x26, the lanai & pool area finished with brick pavers plus 10 ft high pool cage walls.